China's Tusi culture was added to the World Heritage List at the 39th session of the World Heritage Committee in Bonn, Germany on July 4. 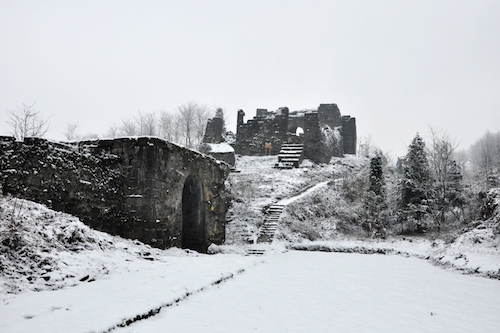 The ruins of Hailongtun castle in Guizhou Province represents the three heritage sites that applied for a listing as world cultural heritage sites. These provide insight into the background of Chinese Tusi culture and the Tusi families in Bozhou. Zunyi, formerly Bozhou, consists of mainly Gelao and Miao. An area known for cultural exchanges between the Han and other minority group, also serving as an economic and cultural exchange. Zunyi is the most representative area of the Tusi system. Being listed on the World Heritage List will promote studies on the Tusi culture and the history of Bozhou. Guizhou province, with its first cultural heritage site, will strengthen the preservation and excavation of historical relics within the territory, and will apply for more world cultural heritage listings.